Sink into comfortable, contemporary style with this modern chair. With its sloping track arms and tapered wood legs, you'll love the chic details of its clean design. 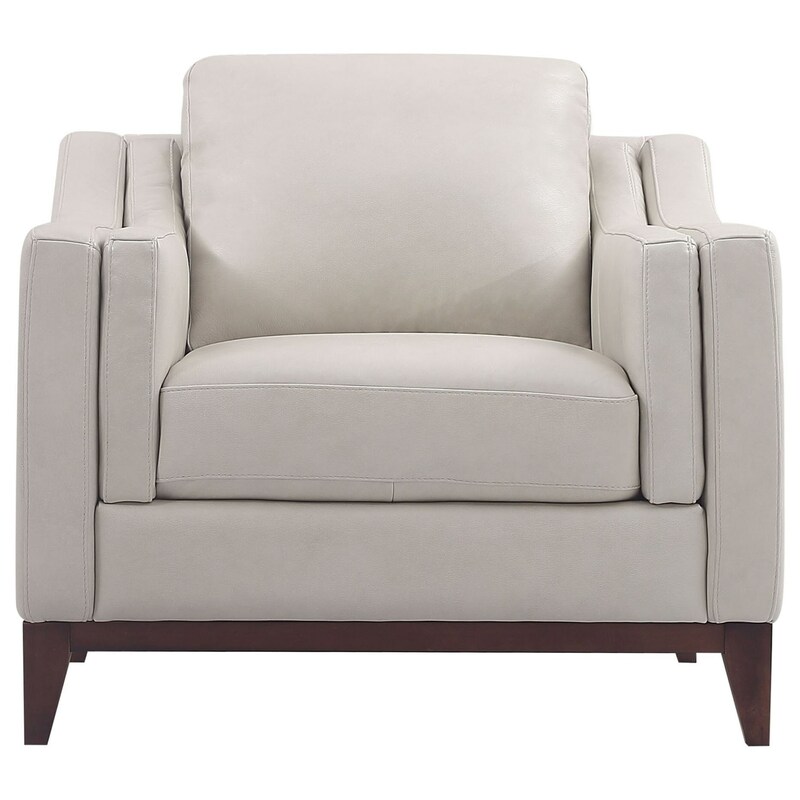 Its top grain leather upholstery completes its high quality look while also feeling soft to the touch, guaranteeing this piece is your new favorite spot to sit. The Georgetown - Helena Contemporary Leather Chair with Exposed Wood Legs by Leather Italia USA at Zak's Home in the Tri-Cities, Johnson City, Tennessee area. Product availability may vary. Contact us for the most current availability on this product.